Texans Can Academy – Austin Can is embarking on “Can 3.0”. While earning a High school diploma is a great triumph, many more steps are needed to ensure ones economic independence post-graduation. This program, launched fall of 2017, provides hope for a stable future by facilitating a soft transition after graduation to gainful employment with industry leaders. This program acts as a bridge to lift students out of poverty and allows employers to see their grit and determination. 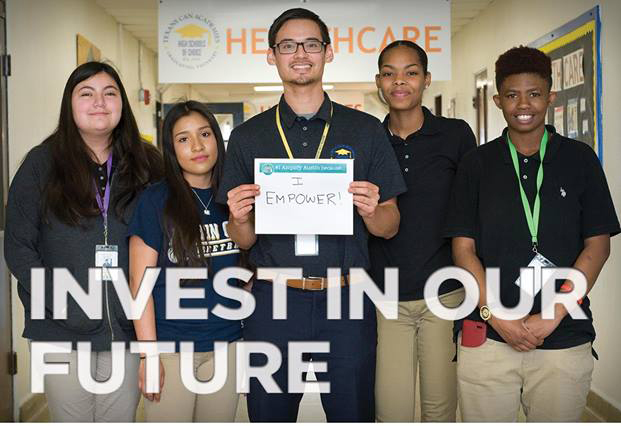 We need your help to extend this opportunity to many more students here in Austin.